Plastic free baby comb with rounded teeth. 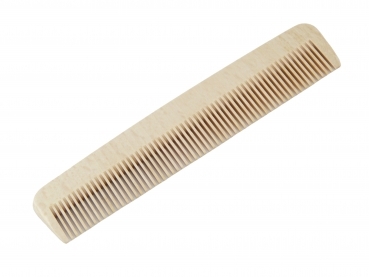 Wooden Baby comb with rounded teeth. Plastic free baby comb. Made from locally grown beech wood. The beech wood is FSC certified in accordance with the strict guidelines of the Forest Stewardship Council. Handmade in Germany. Measuring - 130 mm.